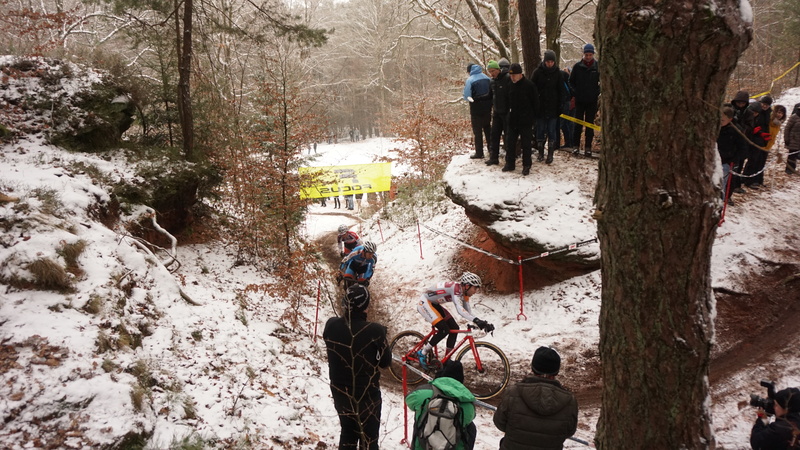 German cyclocross is an interesting affair. 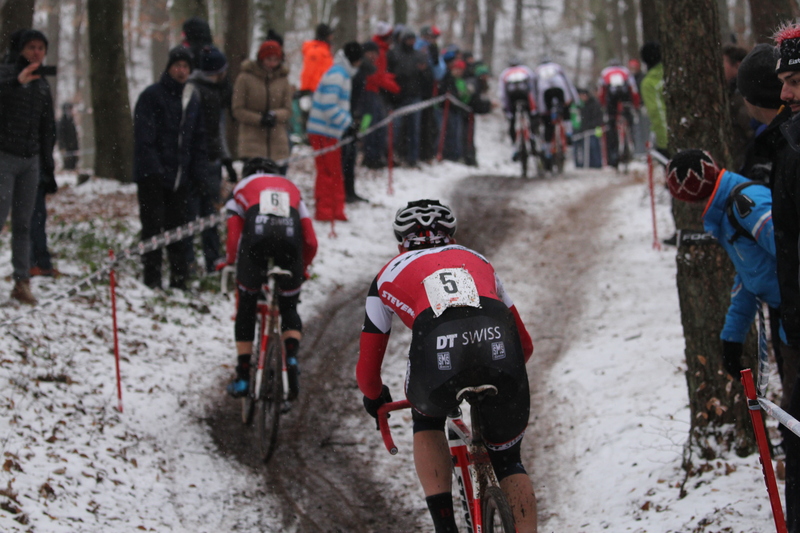 Despite sharing borders with the two perennial cyclocross powerhouses of Belgium and The Netherlands, Germany is not known for its cyclocross culture. Belgian and Dutch riders stack World Cup top-10s, while Germany has a few representatives in the field looking to break the top-20. 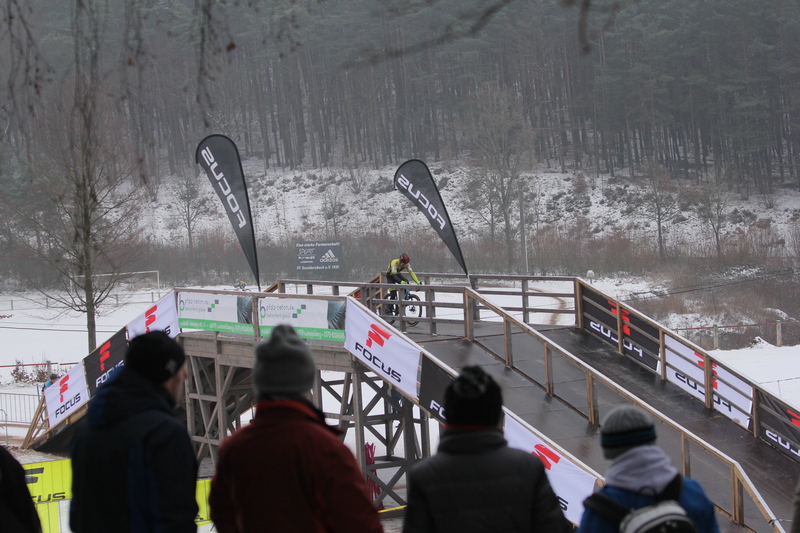 While Belgians crowd the cyclocross venues, most of Germany is more interested in biathlon and ski jumping. 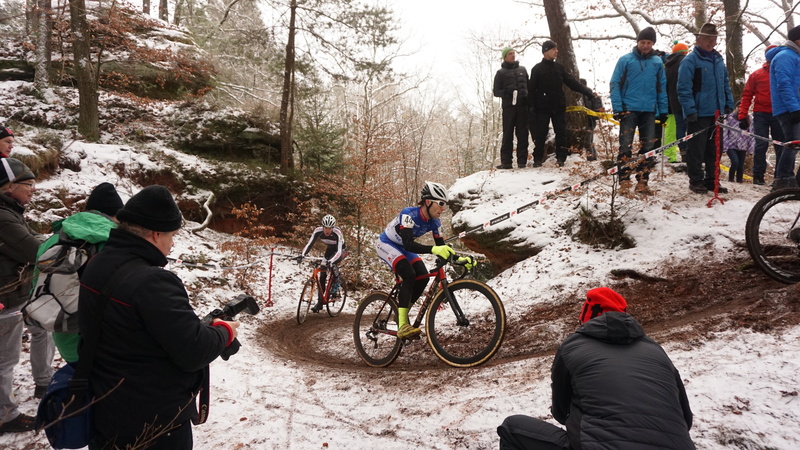 The German word for cylcocross- querfeldein– is unlikely to be recognized by any non-German speaking athletes or fans in the cyclocross community. 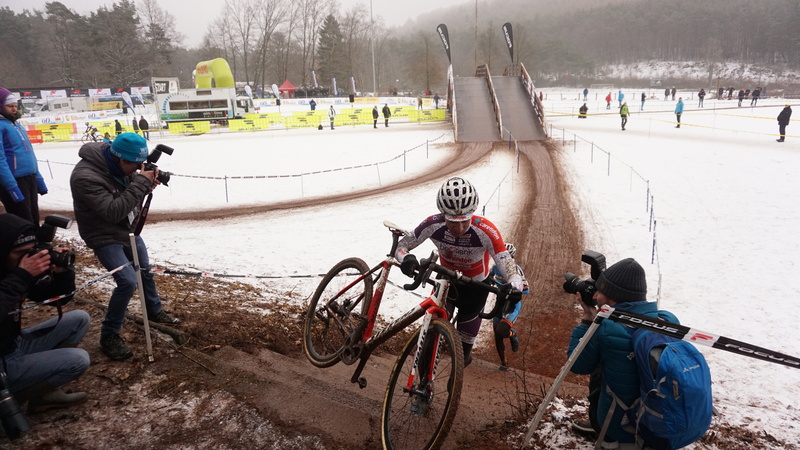 The German Championships were held in the small town of Queidersbach (pop. 2,900) in the Rheinland-Pfalz. Queidersbach has been a stop the last several years on the Deutschland Cup tour. 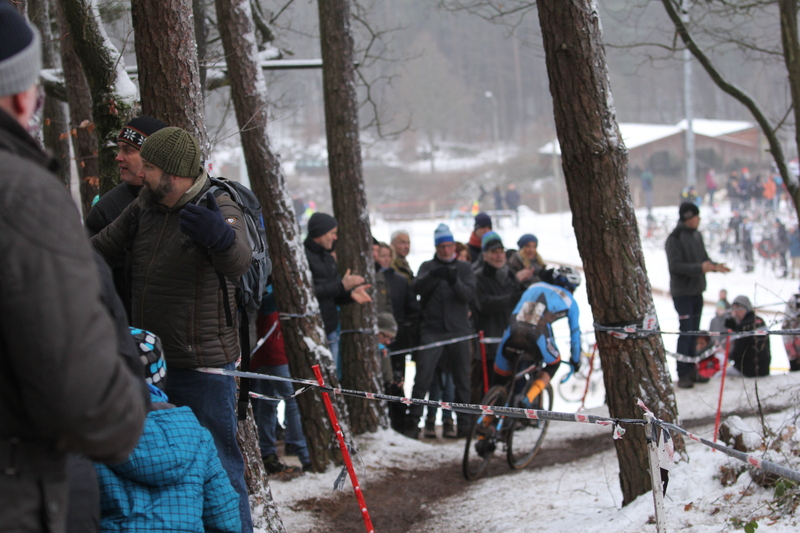 This year the town played host to the second biggest race of the season in Germany behind the Zeven round of the World Cup. 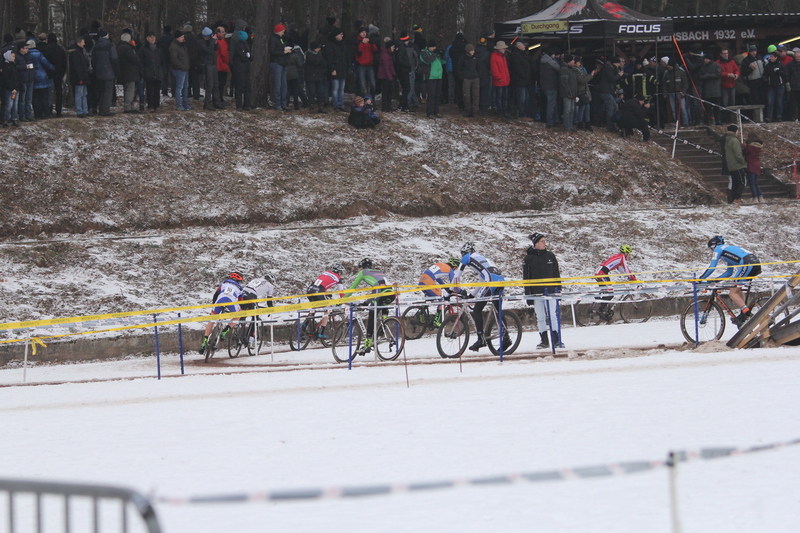 The crowd grew throughout the day and enjoyed several races held on the snowy course. Like in the U.S., all categories raced on the same course. 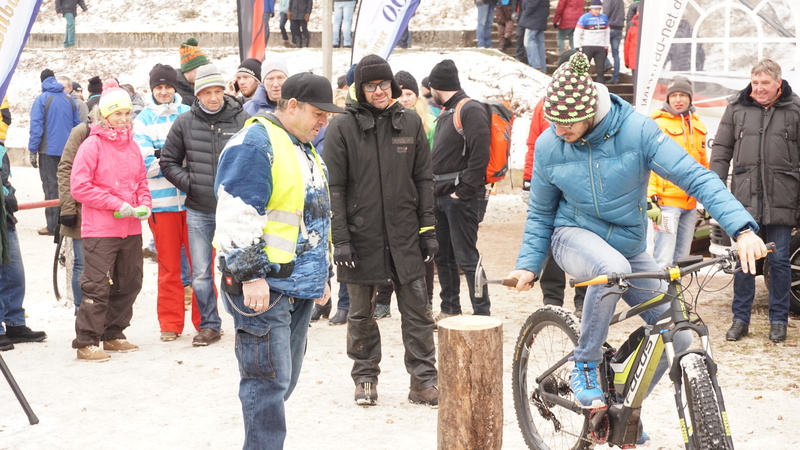 Even the between-race entertainment of “hammer the nail into the tree stump while riding the Focus E-Bike” had a special German flair. 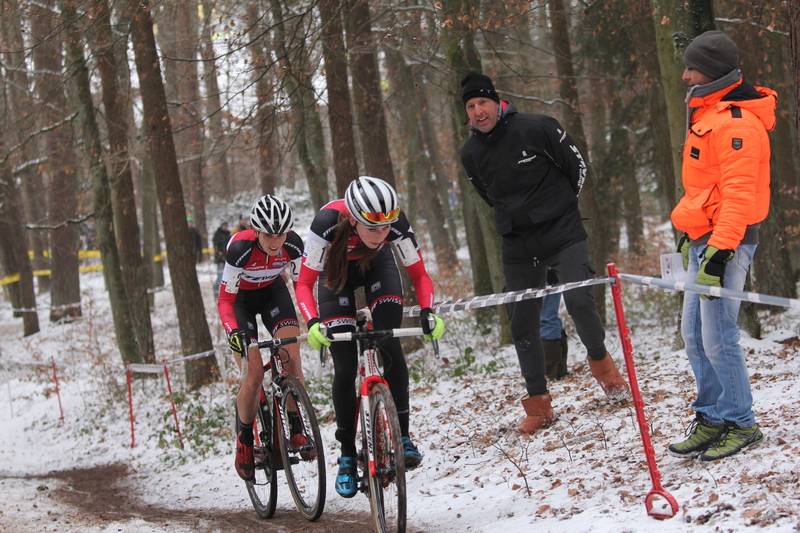 The Stevens Racing Team dominated the Elite Women’s race. The Stevens riders swept the podium, with former champion Jessica Lambracht taking top spot ahead of teammate Stefanie Paul. Lisa Heckman rounded out the top 3 to complete the sweep for the women in red and black. 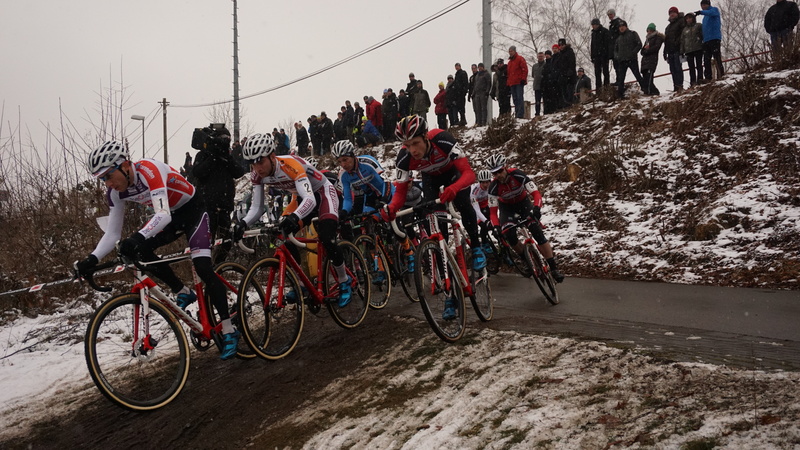 The Elite Men’s race turned into a 3-way battle featuring the same protagonists as last year’s edition. 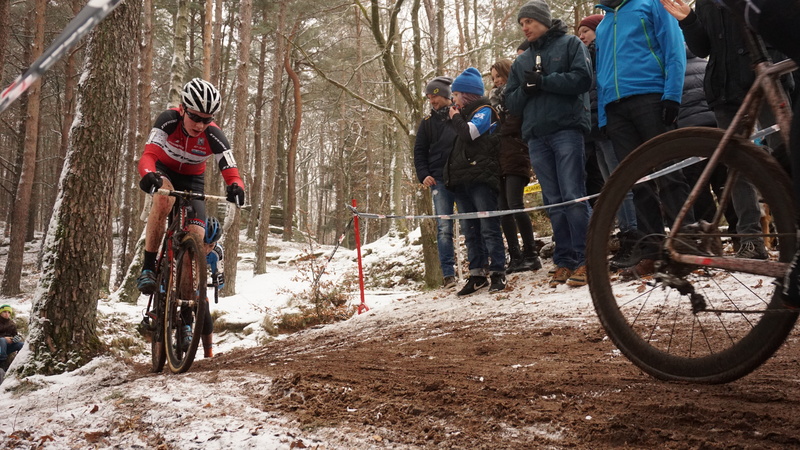 Defending champion Philipp Walsleben (Beobank – Corendon) could only manage third on the day, while local favorite Sascha Weber (Focus CX Elite Team) placed second. The newly crowned champion Marcel Meisen (Team Steylaerts) celebrated his birthday in style with a new national champion’s jersey. I saw coverage for a race , can’t remember what it was , last year. The photos and article of the coverage was by Matt Stehr. I was impressed by the talent of the young photographer/writer then. 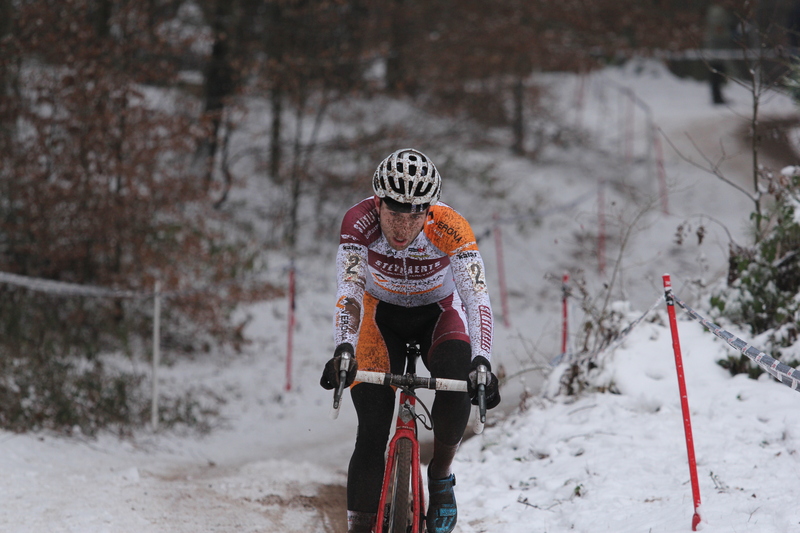 After seeing his coverage of the cyclocross I continue to be amazed at the way he seems to have the nack of being in the right place at the right time. 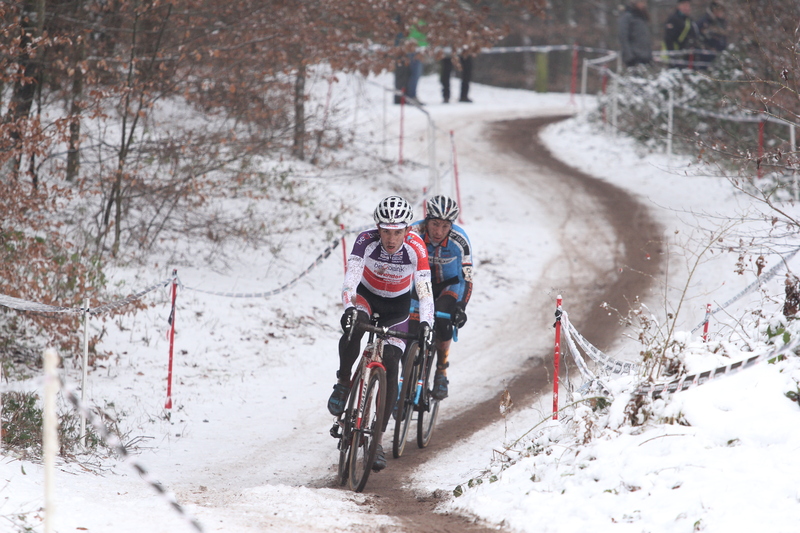 The pictures with the explanations under them make it much easier to follow the concept of the race without being there. Also the information supplied by Matt gave a better understanding of the participating countries and why there is such great interest in the sport. Thanks once again Matt for a great presentation. Looking forward to the next one.